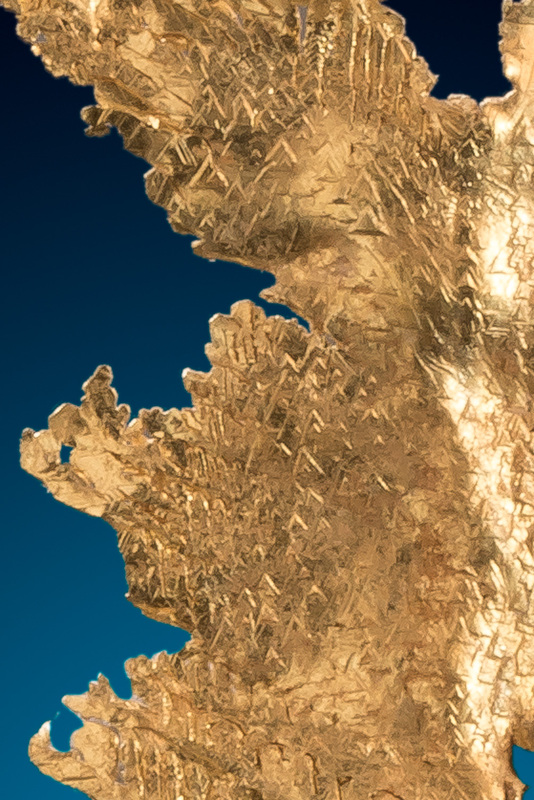 A beautiful rich gold color and magnificent detail with layered trigon gold crystals on the surface. 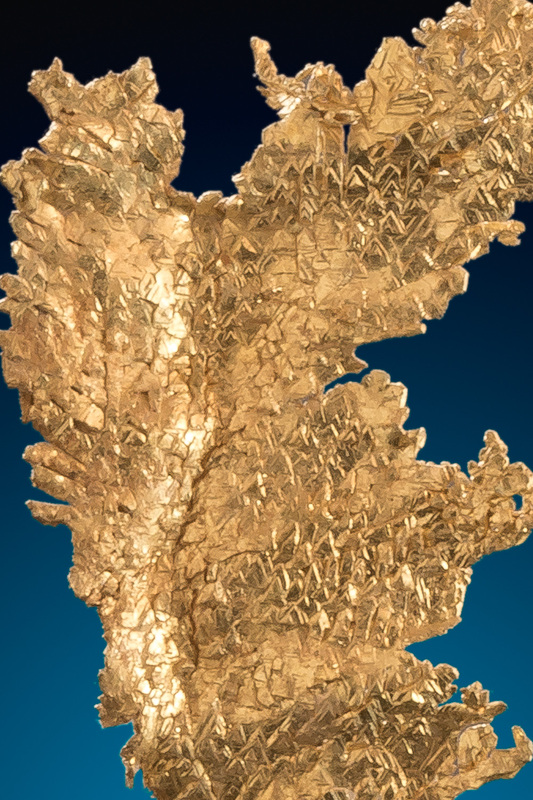 The real beauty of natural gold crystals shows true on this dendritic leaf gold crystal from Round Mountain, Nevada. 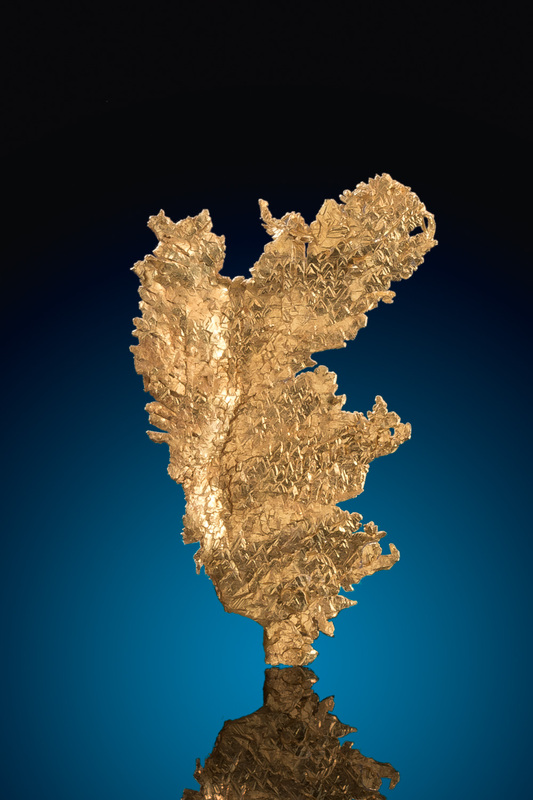 The gold from Round Mountain is some of the most magnificent gold in the world and the crystallization is like none other in the world. 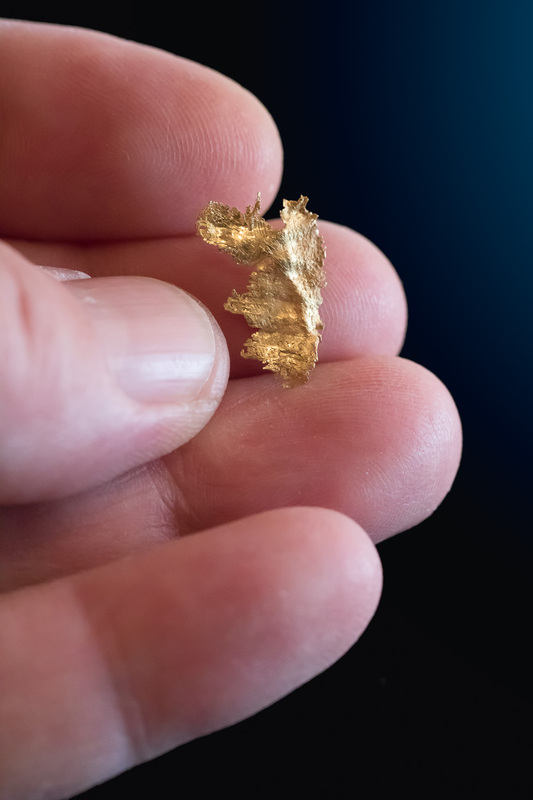 Sadly, the mine has stopped preserving the crystalized gold and has put corporate profits over the natural beauty of the gold found at this location.